We often see threads/posts from users indicating that they have lost access to their Evernote Account, and are trying to regain that access. This can occur for a myriad of reasons, but generally the issues are related to a user losing or forgetting their password, losing the ability to access Two-Factor Authentication verification, or they lose access to the email address tied to their Evernote Account. Given the nature of these types of access issues, users will need to open a support ticket in order to address the issue and regain access to their Evernote Account. The reason for this is that only our customer support team has access to the tools necessary to make changes to an Evernote Account. Additionally, users may need to provide information that we do not want to make publicly visible in the discussion forums. To open a support ticket, go here. 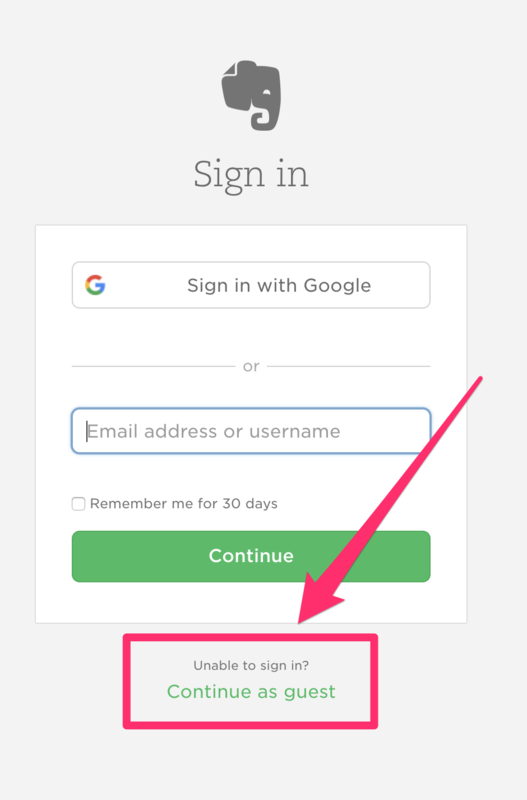 You will be prompted to login to your Evernote Account, but if you do not have your login credentials available, click on Continue as guest. From the What can we help you with? dropdown menu, select the ‘My Account’ category. From the Select a topic dropdown menu, select the type of issue you’re encountering.